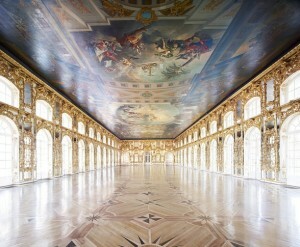 After receiving critical acclaim at the State Hermitage Museum in 2015, Candida Höfer’s latest series, Memory - capturing the splendour of St Petersburg and its magnificent buildings - will travel to Ben Brown Fine Arts Hong Kong in March, coinciding with Art Basel Hong Kong 2016. 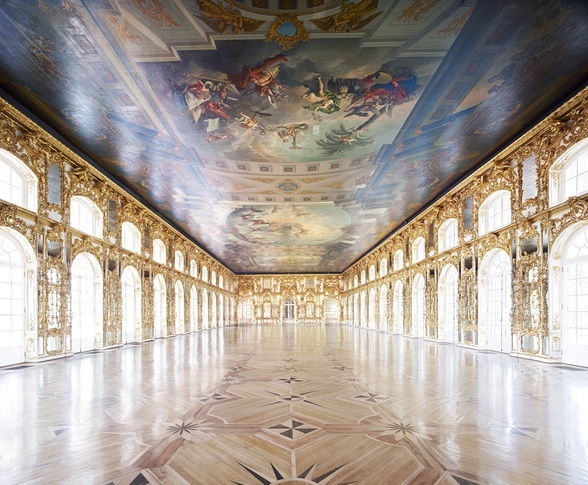 The Hermitage Museum, Pushkin Palace, Catherine Palace Pushkin, Mariinsky Theatre, as well as the palaces of Pavlovsk and Yusupov, provide the glorious setting for this new series produced in the summer of 2014. The empty interiors of palaces, opera houses, libraries, museums and theatres are part of the artist’s meticulous and skilful documentation of public spaces which has brought her international prominence. Through her lens, Höfer captures mankind’s greatness - extraordinary buildings and architecture associated with cultural memory and history - yet her spaces are consistently devoid of human presence. For her, ‘an absent guest is often the subject of a conversation’. Here the architecture takes centre stage, losing its attribute of public space, a space created for man, to become an idealised image that could not exist in the public sphere, a world where man has no place.